We all have people we find difficult. Mine include a next door neighbour who’s views about gardening differ vastly from my own; most of our political leaders; my parent-in-law; (from time to time) my spouse; all cold callers on the telephone; I could go on … I’m sure you can rapidly come up with your own list. One of the lessons I once came away from an SGI discussion meeting with was ‘that difficult person could be your best friend’. I pinned the phrase by my telephone for some time, to help me deal pleasantly with the cold callers. Another Buddhist practice that has helped me considerably in relating to difficult people is metta (loving-kindness) mediation. This encourages us to send metta to specific people (ourself, a loved one, a neutral person and a difficult person) and then broaden this out to include all people and all sentient beings. For a while I practised this weekly with family members and we all found it helpful, especially in relating to particular difficult people in our lives. We would take turns to read the sections of the guided meditation, leaving silence between each section. Currently this practice has lapsed, maybe we’ll revive it some time. I’ll reproduce here the wording we use. Do use it as is or adapt it to your liking (or totally ignore it …). Start by thinking of yourself, your body and mind. Think of yourself as someone that you love. Wish yourself well in every way. Flood your body – particularly any areas that are suffering – with thoughts of love and compassion. And as you breath out, think of letting go of stress and tension. Now think of someone that you love. Think of them, and send them your love and compassion, wishing them well . Now think of someone that you know but do not know well. Now think of someone you hate or resent. Now think of yourself, your friend, the neutral person and the difficult person. See all four of you together, and wish all four people well. Try to do this equally for all four of your, and notice any tendency to ‘play favourites’ by wishing your friend more happiness than the others. Now spread your well-wishing out in wider and wider circles, until you are wishing that all sentient beings are well and happy, and their minds are at peace. May they know joy and peace, love and compassion. May any merit gained from this practice be shared with them, with all suffering beings’. And remember with gratitude ‘I am one of those beings’. 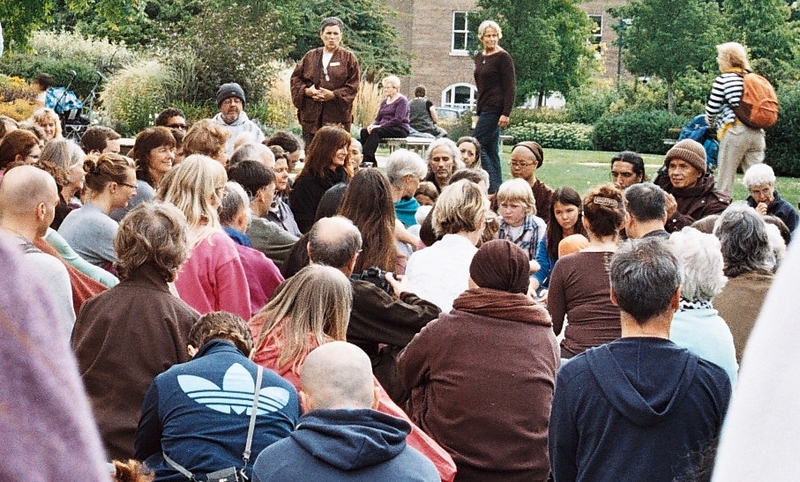 What’s the difference between meditation and meeting for worship? This question is asked so often, by all sorts of people. 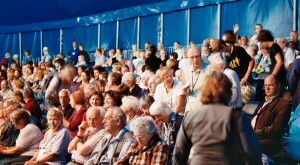 Some may be Quakers with long experience of meeting for worship, but little experience of meditation. Others may be Buddhists with much experience of meditation but little or no experience of Quaker worship. Still others may have little experience of either tradition, but have read about them and are puzzled by the apparent similarity. 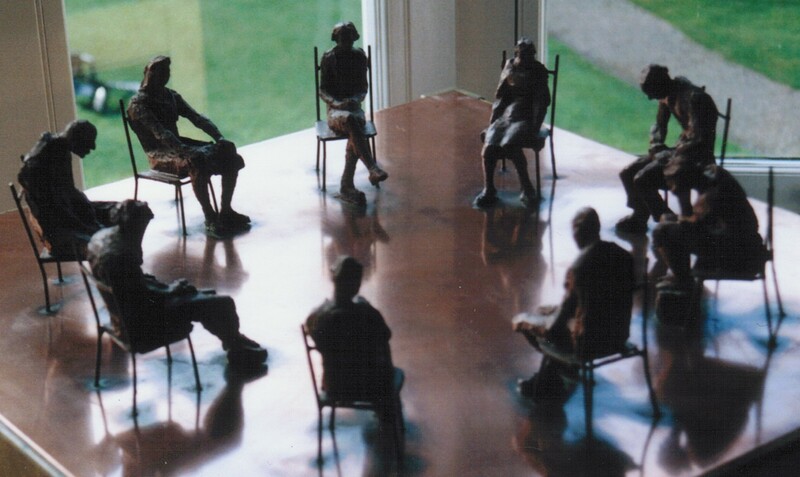 When a group of people are sat together in silence it is very hard, and probably impossible, to tell what any one of them is actually doing. If the reason for gathering is a meditation group, most, probably all, of those present would say that they were meditating (or trying to). It is usually held to be a individual activity, even though people do gather together to practice. If the reason for the gathering is a meeting for worship and those present were asked what they were doing, answers would probably include ‘listening to God’, ‘enjoying the peace and quiet’, ‘listening to the Light’, ‘thinking’, ‘seeking guidance’ and ‘meditating’. 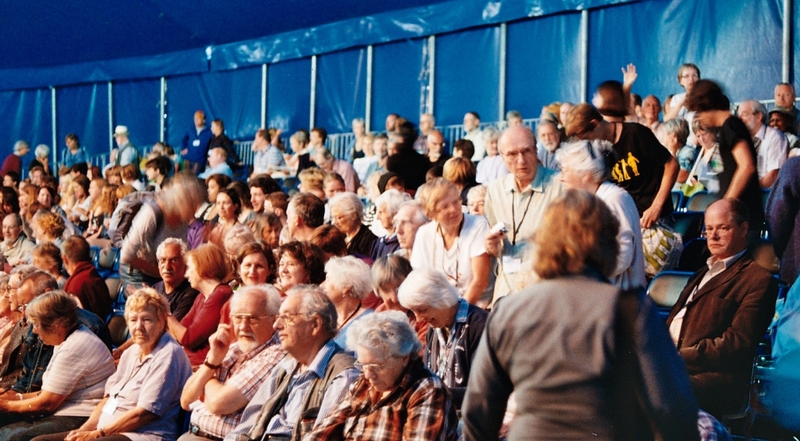 Probably most would say that meeting for worship is essentially a communal experience, and would note the expectation that one or more people may be moved to speak. Speaking in a silent meditation group would generally be considered inappropriate. There was a time when I was sure that I understood the difference, and that the key was that meditation is individual, meeting for worship is communal. Then I heard Thich Nhat Hanh speaking about the importance of being in a sangha and of the something different that happens when we meditate together. I understood him to be talking about that difference that I encounter when I meet for worship with others instead of having a ‘quiet time’ at home alone. In Quaker speak I heard that his words came from experience, an experience that I shared. So then I didn’t know the difference any more. 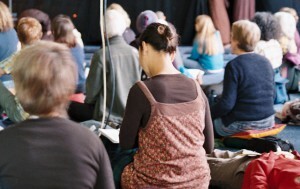 I’ve been attending mornings of mindfulness with the Heart of London Sangha since last April. My attendance is erratic, certainly not weekly, but at least once a month. My motivation for attending has been to follow Thay’s* advice about the importance of belonging to a sangha, to see if this sangha is the right place for me at this time, but also to find out about how a Community of Interbeing sangha works and is run with a view to possibly starting a sangha nearer to home. There was also (I have to admit) the added incentive of the opportunity to meet up with a friend who has also been attending these meetings. One of the features of Heart of London sangha meetings is the centrepiece, something I hadn’t encountered before. I don’t know why things are done this way, and I haven’t yet asked questions. What follows are my personal observations and reactions. This sangha usually meets in a Quaker meeting house, which is quite common, and a comfortable space for me to be in. The chairs are cleared from the centre of the room and mats and cushions arranged around a central space. There is no obligation to sit on the floor (though probably about half of us choose to) and plenty of chairs are left around the mats. In the centre of the central space is the centrepiece. It usually consists of a rectangle of coloured cloth on which are arranged various objects, usually including a Buddha statue, some natural materials (flowers, stones, leaves), often some nightlights, occasionally small items of food. Sometimes it becomes clear during the course of the morning that the decoration in the centre reflects the theme of the morning, which will also show in the guided meditation and the dharma reading or talk. The centrepiece also features strongly in the sharing session, when those wishing to share are invited to bow to the sangha (who bow in response) and to pick up an object from the centrepiece. While holding the object, the sangha’s attention is devoted to that person, whether they speak or remain silent. This is similar to a practice sometimes called the ‘talking stick’ or ‘magic microphone’, that I have encountered elsewhere, and use extensively when facilitating Quaker groups. My personal choice of ‘talking stick’ is often a pink, cuddly elephant known as Lizzie – although sometimes another object is more appropriate. Sometimes the centrepiece is very simple and I warm to it. Anything very understated tends to appeal to my Quaker self. Sometimes the centrepiece is much praised and I am not sure about that at all. Sometimes there seem to be a desire to make provide an exceptional centrepiece that will be much admired and I feel that is somehow inappropriate. For a Quaker meeting in Britain, where most people will sit on benches or chairs (sitting on the floor isn’t forbidden, but isn’t common), it is usual to have the chairs arranged around a central space in which we put a table. 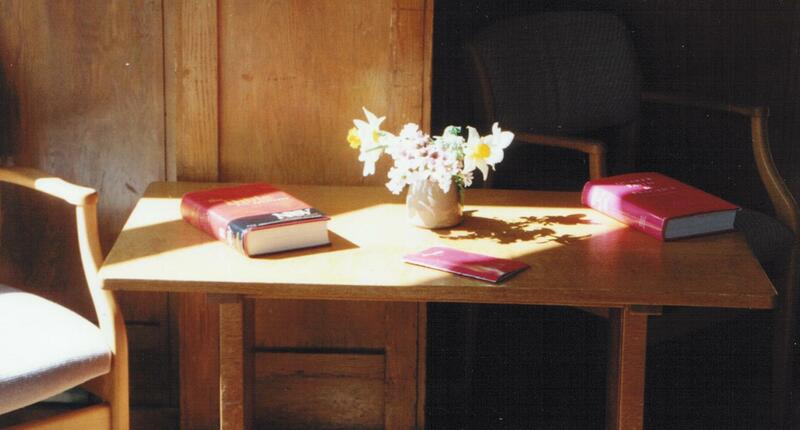 On the table are usually some flowers and some books (usually the Bible and Quaker Faith and Practice). In my home meeting we also put books for children, a water jug and glasses, a collection plate and a printed copy of the notices – things people may want access to, but the table actually ends up quite cluttered. What is the purpose of the ‘centrepiece’ in these contexts? 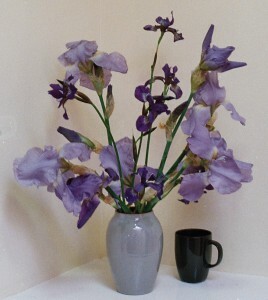 In the Quaker context I think it is to allow easy access to things we might want during the worship and, especially in the case of the flowers, to help make the room looked ‘lived in’ and inviting. I feel that the flowers are best kept simple, preferably picked from what is readily available,and if that is dead leaves and seed heads, so be it. Our meeting house has a fairly extensive garden, so this is not difficult. Sometimes the ‘centrepiece’ inspires spoken ministry during worship – most commonly what’s known as ‘daffodil ministry’. American Friends generally reject the central table as preventing people seeing others across the room and leave an empty space in the centre. In the Buddhist context, setting the scene and making the room feel welcoming and inviting is also part of the purpose. Helping us to centre down into meditation may be another purpose, and I do find this can be helpful, especially if the centrepiece is kept simple. If it reflects the theme of the day’s teaching in a different, non-verbal, way this can also be helpful. At home I don’t have a specific place for meditation practice, I just move a small table into a space, light an incense stick, perhaps add a Buddha statue, or some flowers, and sit in front of that on my cushion. I find this helpful in delineating some time and space for meditation. The burning incense stick helps to indicate the passage of time, encouraging me to persist for long enough, but not to sit all day (and some days I happily would!). If I feel more inclined to a Quaker ‘quiet time’ than a Buddhist meditation, I would usually sit on a chair, and on my table light a candle (I shouldn’t leave it burning unattended, so that helps to keep me sat), possibly adding a suitable book or some flowers (if they are readily to hand). Sometimes having something simple to focus my eyes on is helpful, it can even act as visual mantra to which I can keep returning my attention, when it wanders (as it inevitably will). Again, it’s primarily about setting aside this space and time for the purpose. Clearly the ‘centrepiece’ at the morning of mindfulness is also, in part, about this setting aside time and space for the important activity of meditating together which is significant in bringing the sangha together. * Thay (Vietnamese for teacher) is the name commonly used among his followers for Thich Nhat Hahn, and also the name he calls himself by when he speaks.